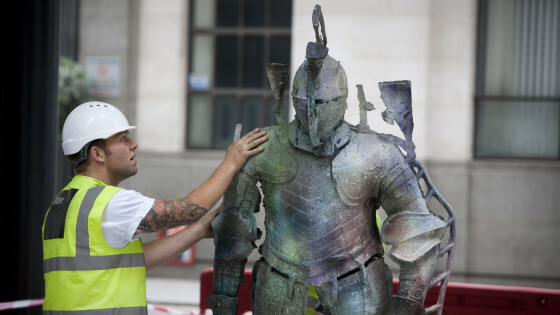 This month marks the final chance to view this years Sculpture in the City project in various locations around the City of London. For more information see our blog post here. Now expands 35 years of Koons’ career including paintings, works on paper and sculpture taken from Hirst’s collection. The exhibition is the first solo show for Koon’s since his 2009 ‘Popeye Series’ at the Serpentine. For more information see our blog post here. As part of a three-part exhibition (with additional elements at Andrea Rosen Gallery, New York and Massimo De Carlo, Milan) Julie Ault and Roni Horn explore the dialogue between particular bodies of Gonzales-Torres work, creating three individual experiences which contribute to a wider context underlining the method, materials and installation which are integral to his oeuvre.